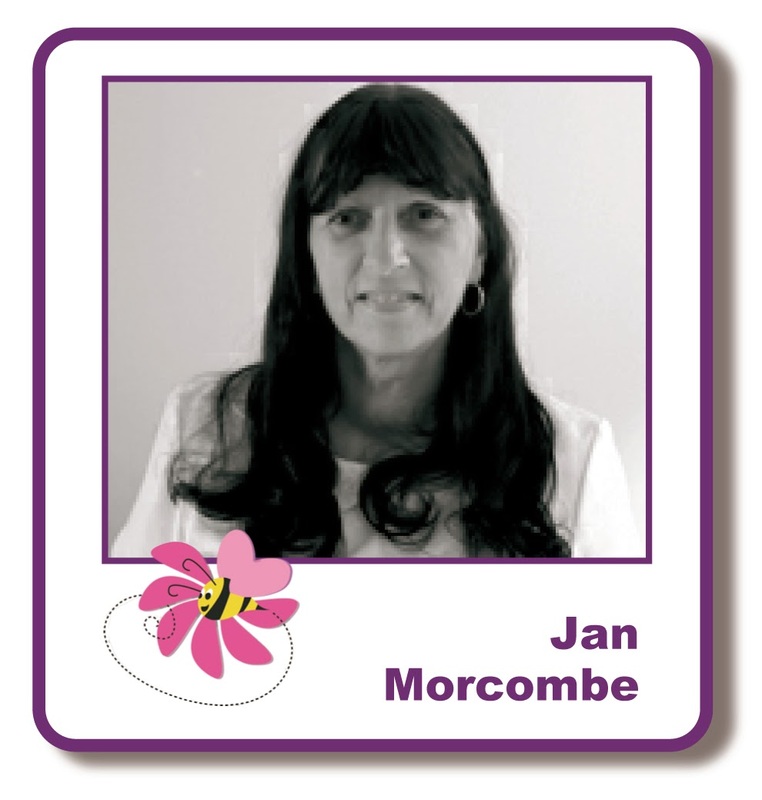 Hi crafters﻿, Happy Easter to you all. 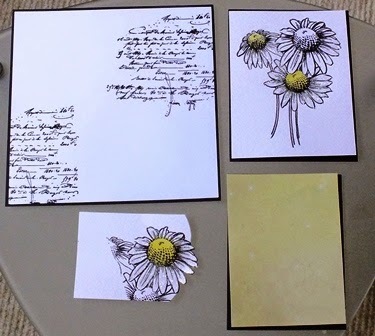 First I stamped the Daisy Stamp using Versafine Black Onyx and embossed it with Wow Clear Gloss then stamped a second image to use for dimension. I coloured the centres with water colour pencils but I think the Spectrum Aqua Pens would work much better, I loved using them in the March class. I then used some Cosmic Shimmer Dries Clear Glue and a small paint brush to fill in the petals then coated them in glitter. Once all the flowers were coloured and glittered I cut out the second stamped image and double mounted it for a more dimension, it was then matted onto black card. 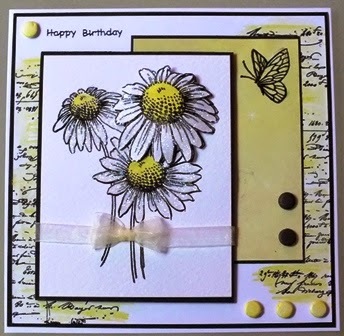 I then stamped the main background card with the Stampendous Cling Vintage Contract stamp, again using Versafine and Wow, then coloured over it with yellow water coloured pencil. I matted a piece of the Pastel Paper Block onto some black card and stamped the butterfly from the same Daisy stamp set. I put the elements together as shown in the first picture but just added a little yellow bow to the main image before mounting it onto the card, adding card candy for a few finishing touches. Hope you like the nice easy card today and look forward to seeing you later at the workshop. 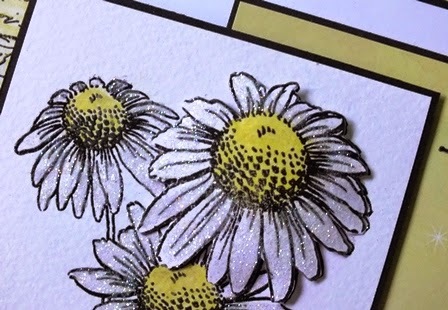 Gorgeous card and Daisy stamp!